The 'Beach Retreat' looks out onto Netarts Bay and the Pacific Ocean. 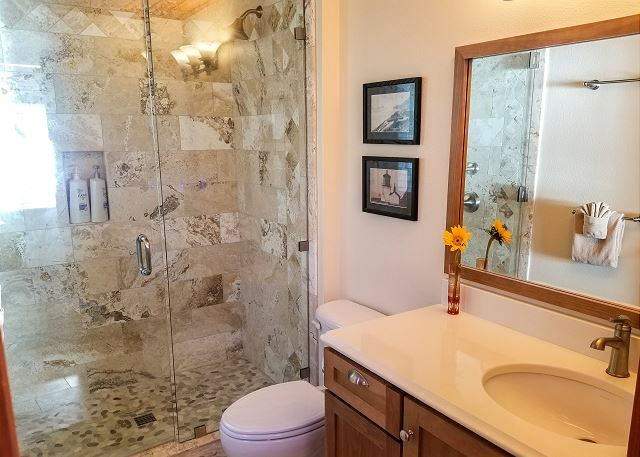 The home has three bedrooms and two full baths and is perfect for your vacation. This custom-crafted home includes an ocean-front great room with vaulted ceilings and hardwood floors in the common areas, a spectacular open gourmet kitchen with large granite countertops and hickory cabinets, a spacious dining area, a stone fireplace and expansive windows looking out on the Pacific Ocean. Ask about the home next door! Great for 2 families or a family reunion! All bedrooms (sleeping 8) are roomy to make your stay more relaxed. The master bedroom features a king size bed, private bath, large closet and full ocean and bay views. What better way to greet the day? The second bedrooms has a queen size bed and third bedroom has two sets of bunk beds. Both guest bedrooms have plenty of closet space too. 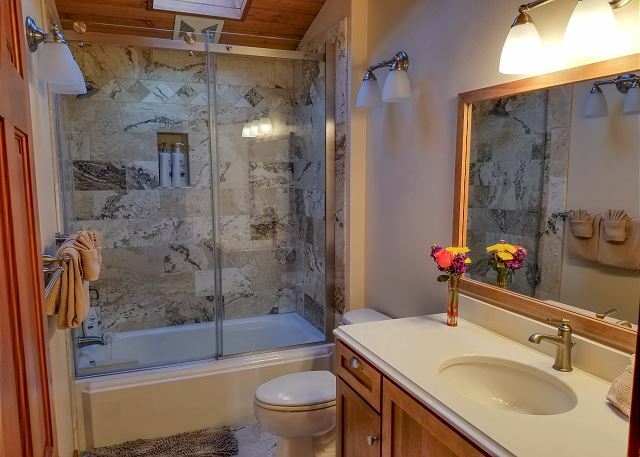 Both full bathrooms have shower and bath, vanities with granite countertops and more. You can enjoy long walks on the beach both north and south. To the south you can walk to the town of Netarts, the jetty for the boat launch and the Schooner for lunch or dinner. To the north, you can walk to the town of Oceanside for coffee at Brewing in the Wind, lunch/dinner at Roseanna's or just to take in the beauty. This is a great launching spot for the Three Capes driving loop, day trips north to as far as Cannon Beach, or south as far as Lincoln City. Golf and Wine Tasting are within an hours drive. Three night minimum in June. Weekly Saturday to Saturday rentals only for July/August. No Pets Allowed. No RV Parking. Plenty of Parking! Discover why this gorgeous, architecturally-designed beach home is ideal for a couple looking for a weekend getaway, or for a family of up to 8 people seeking an extended beach holiday! The place to be on the Oregon coast. We had a wonderful stay in Netarts. The house was just wonderful and had everything we needed.We highly recommend this location and plan to return in the future.